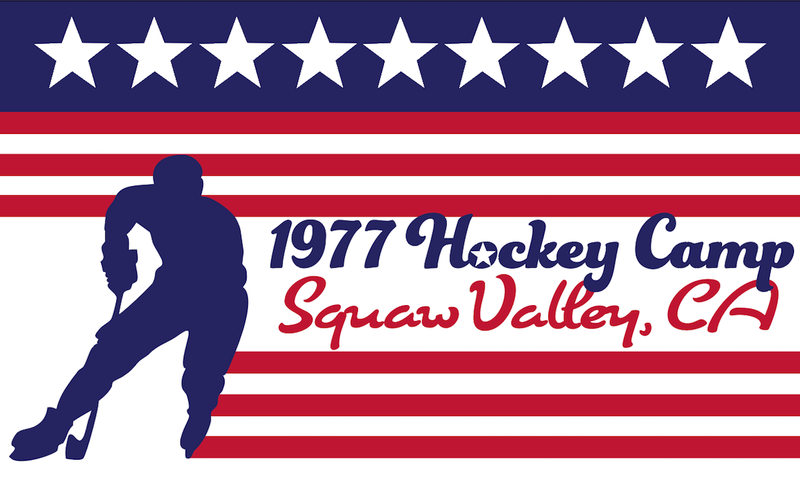 Forty years ago, on a coffee-fueled July morning in Squaw Valley, California, USA Hockey opened its inaugural summer player development camp. The legendary “Badger” Bob Johnson chased the pigeons from Blyth Arena with a shrill blast of his coaching whistle at 6:45 a.m. and 35 prospects shuffled onto the former Olympic ice, among them, a 15-year-old future Badger named Chris Chelios. At the time, American players living west of the Rocky Mountains were a mystery, Chelios included. It was truly the wild, uncharted west, 27 years before HockeyTV streamed prospects’ games onto laptops worldwide. USA Hockey needed a way to identify that obscure western talent and bring it into the star-spangled hockey family. Colonel F. Don Miller, then executive director of the United States Olympic Committee, was in the midst of revitalizing Squaw Valley’s former Olympic facilities. He offered them to USA Hockey, and after a series of meetings, the summer player development camp concept became a reality. USA Hockey’s Lou Vairo remembers those formative meetings, as does Art Berglund, who was then a USA Hockey volunteer and manager of the Broadmoor World Arena. Both Vairo and Berglund were part of the inaugural camp staff, which is how they got their first look at Chelios and much of the western talent pool. USA Hockey split the inaugural camp into a pair of one-week sessions. The first week was for 15- and 16-year-olds; the second week was for 17-, 18- and 19-year-olds. Much like today’s camps, it included practices, games, off-ice training and team dinners. There was even a free-play multisport component, though it didn’t have a fancy name in 1977. Players simply gravitated toward playing volleyball and basketball or hiking in the Sierra Nevada mountains during their afternoon downtime. In an early nod to the American Development Model, all-around athleticism was a major camp emphasis from the very beginning. Grant Standbrook, then an assistant coach at the University of Wisconsin, was an early strength and conditioning guru, and he led the formal off-ice activity. “It was more of an evaluation camp at the time, but we definitely did teach on and off the ice, including things like weight training and meditation,” said Standbrook. The son of a boxing coach and physical education teacher, Standbrook trained with Olympic track and field athletes before moving on to the college coaching ranks at the University of Minnesota Duluth and Dartmouth College. While at those institutions, he coached hockey, lacrosse, soccer, track and field, and judo. 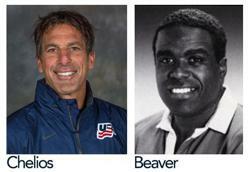 Later, when Standbrook served as an assistant coach with the 1976 U.S. Olympic Team, he added yoga to his training menu. At Wisconsin, he brought strengthening concepts onto the ice with station-based surgical tube resistance drills. “We realized the importance of flexibility training, weight training and resistance training early,” said Standbrook, who amalgamated his training techniques into a potion that produced a brew of Wisconsin defensemen known for leverage-powered hip checks. Chelios became one of those defensemen in the years following his camp debut. Chelios wasn’t a lone star at the inaugural camp. An Alaskan mystery also caught the coaches’ attention, beginning hours before the first practice when they couldn’t locate Emelio Beaver. He hadn’t checked in yet and he wasn’t in the dorm. No one in Squaw Valley had seen the 19-year-old from Anchorage. Nighttime had long since descended in the Sierras and the first smartphone wouldn’t be invented for another 16 years. As it turned out, Beaver just needed a ride. The coaches agreed. Beaver was a fierce combination of energy, skill and toughness that dominated on the ice. “Emelio worked on the pipeline, played every sport and ran in the Alaskan mountains, so he had a different background compared to the other kids and he could do everything better than everybody else,” said Standbrook. For Beaver, the camp marked an unprecedented opportunity for a young Alaskan to gain national exposure and he made the most of it. “They never had anything like that previously, so after I went there and played well, I realized that I had the ability to play with anybody,” he said. Badger Bob agreed, offering Beaver a spot with the defending NCAA champions at Wisconsin. After camp, the Alaskan dynamo made an official visit to Madison. Beaver’s love of the game remained strong – as did his talents – so he continued playing in Alaska well into adulthood. Sixteen years after starring at USA Hockey’s inaugural development camp, he won a USA Hockey senior national championship with the Anchorage Aces. His story is merely one of thousands that include a chapter written under the midsummer sun at USA Hockey’s player development camps – a tradition that celebrates its 40th anniversary in 2017.